Big Oil Is Raking in Cash So Investors are Asking: Now What? The dark storm clouds that have been hanging over the oil industry during the crude-price slump have suddenly started raining cash. 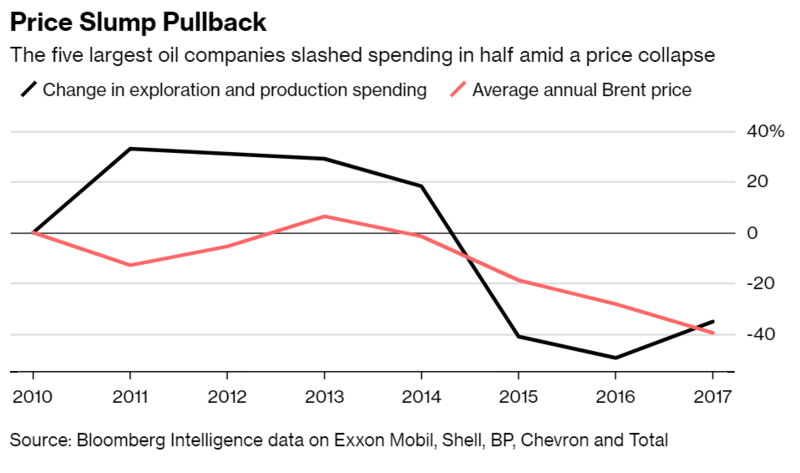 After cutting billions of dollars of costs to survive the biggest downturn in decades, Big Oil is now riding a price rebound to generate enough cash to pay dividends and still have plenty left over. The big question is what they’re going to do with it. Company bosses are at a crossroads. On the one hand, investors who stuck around during the price collapse want to see money returned through share buybacks. On the other, CEOs still have an eye on growth -- either through investments, acquisitions, or both. On either path, they would still have to maintain hard-earned discipline on spending. 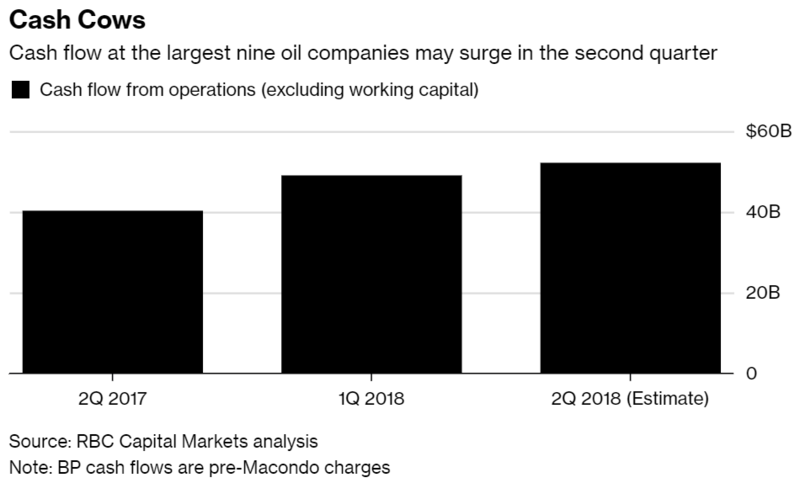 Investors will be listening keenly as Big Oil’s second-quarter earnings roll in starting July 26, when Royal Dutch Shell Plc, Total SA, Equinor ASA and Repsol SA report. 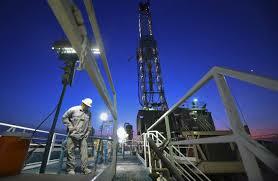 Exxon Mobil Corp., Chevron Corp. and Eni SpA announce the next day, and BP Plc on July 31. These eight companies, and Galp Energia SGPS SA, will together have $8 billion of surplus cash in the second quarter even after stock repurchases, according to Royal Bank of Canada. The hunt for growth has already started. BP has emerged as the front-runner to buy BHP Billiton Ltd.’s onshore oil and gas operations in the U.S., and is competing with Shell and Chevron, according to people familiar with the sale process. BP’s offer, said to value the assets at about $9 billion, would make it the company’s biggest deal in years. Meanwhile, BP’s stock has dropped 1.8 percent this month while its European rival Shell’s B shares in London have increased 1.2 percent and Total is up 1.3 percent. One reason: BP investors are worried the company will overspend and the purchase will “inhibit BP’s ability to increase shareholder return in the near future,” said Jean-Pierre Dmirdjian, an analyst at Raymond James Financial Inc. While blockbuster deals secure future reserves and production, shareholders have mixed feelings about big spending. 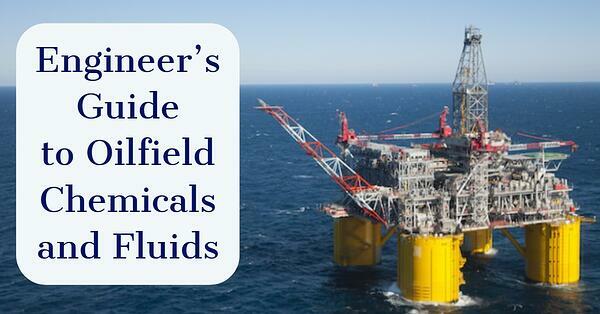 The industry has often been accused of losing control over costs when oil prices are high and profits are flowing. In the years of $100 a barrel crude, they spent billions drilling in the most remote and expensive-to-operate areas and built mega liquefied natural gas projects that took years to complete. Some of these LNG projects suffered cost blowouts and delays, and when they finally started up in the last couple of years, a global gas glut was driving prices and profits down. “Our focus is to remain capital disciplined and our intent is to manage our costs,” Todd Levy, Chevron’s president for Europe, Eurasia and the Middle East, said in an interview. The company plans to maintain spending at $18 billion to $20 billion a year to 2020 because the higher oil prices may not be here to stay, he said. Also looming over oil-company bosses is the question about demand as the world transitions to a cleaner energy system. Shell and BP predict oil consumption may flatline in the mid-2030s, while Equinor sees a scenario where that could happen in the late 2020s. This could be influencing decision-making, and mega fossil-fuel projects or expensive exploration are unlikely to find favor right now, according to Alasdair McKinnon, fund manager at Scottish Investment Trust Plc, which owns Shell shares. On the supply side, fresh flows of crude have been unleashed over the past 15 years through technological innovations in shale, deep water and oil sands. “If you sampled 100 average investors of the supply and demand outlook for oil and copper out to 2030, your variance around oil would be significantly greater,” Kauppila said. Meanwhile, the investor buzz-words are dividends, buybacks and projects that start generating profit quickly. 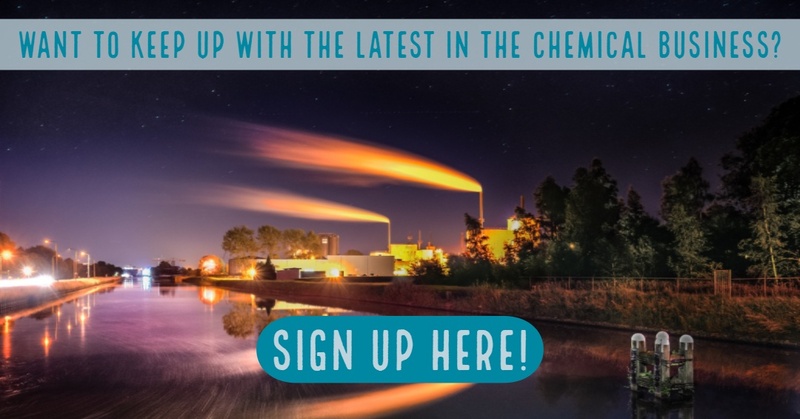 Do you want to keep up with the latest in the oil and gas chemical business?